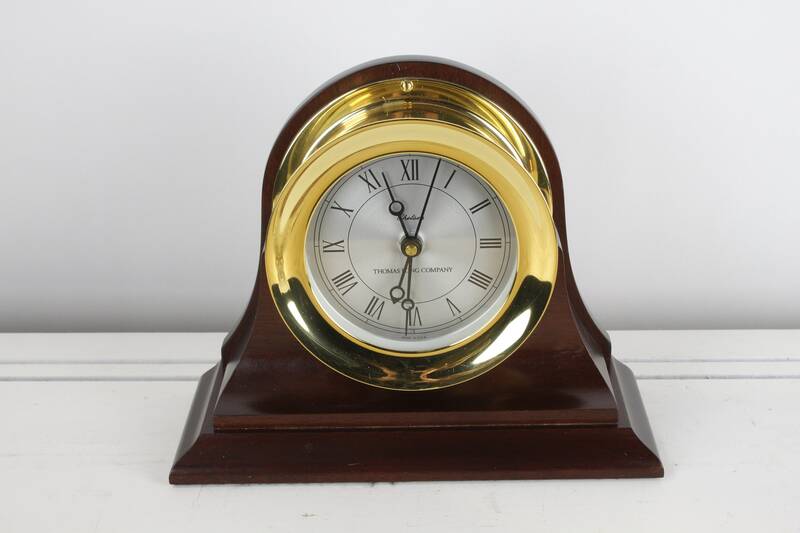 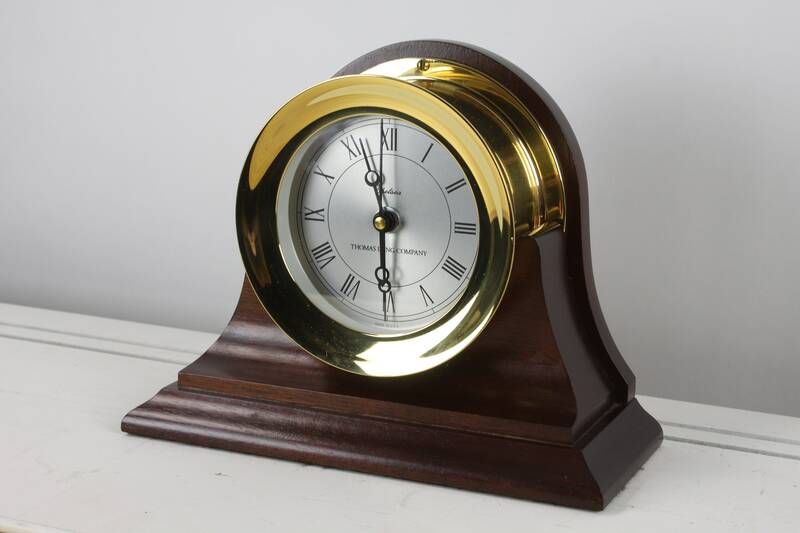 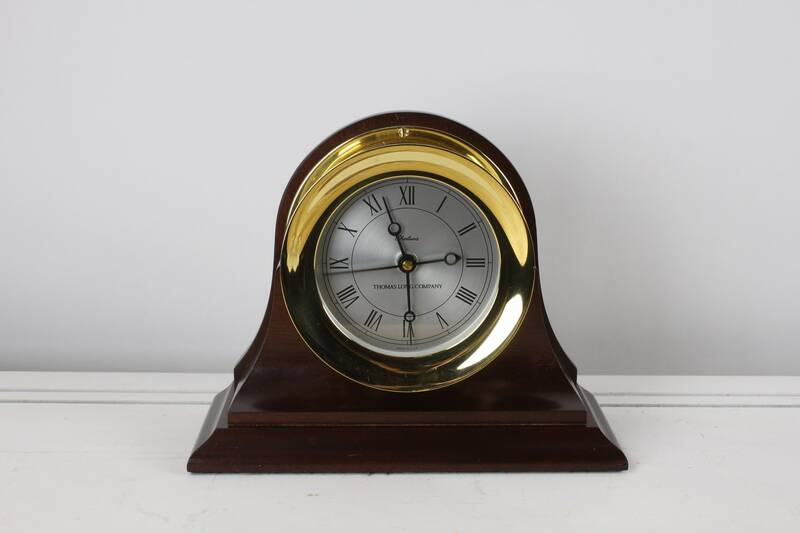 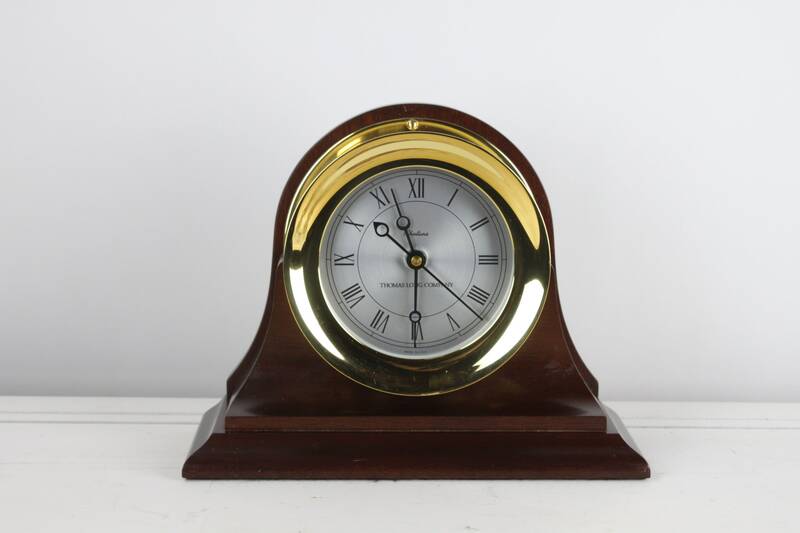 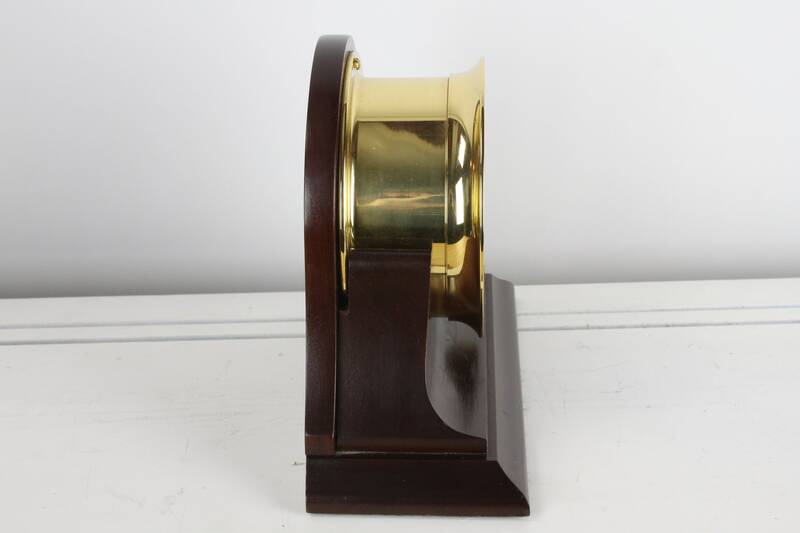 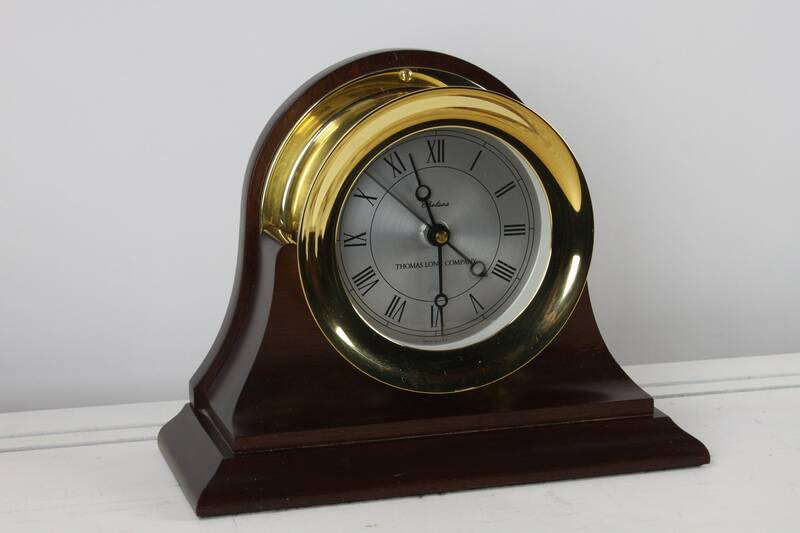 This Shipstrike from Chelsea's Presidential line clock features a 4.5" dial with elegant roman numerals on a silver dial, A ticking second hand and is presented in a heavy, polished brass case machined from solid brass. 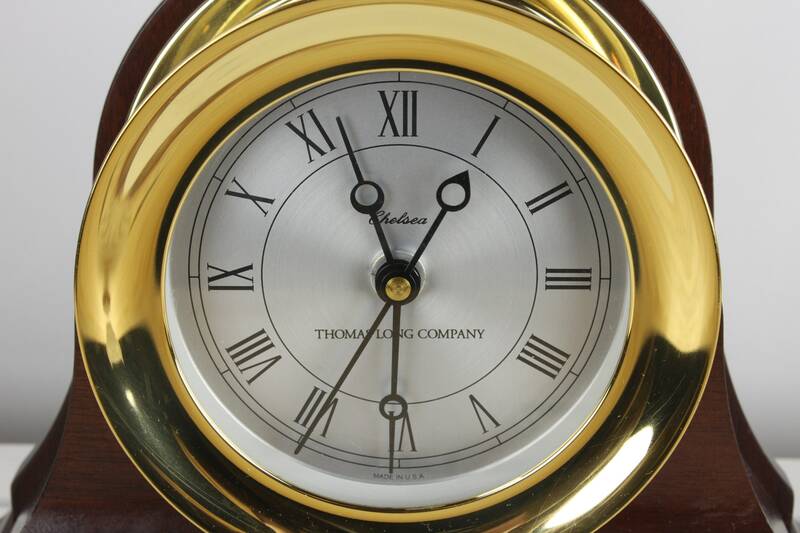 This pieces is presented on a solid mahogany base and offers a commanding presence in any room! 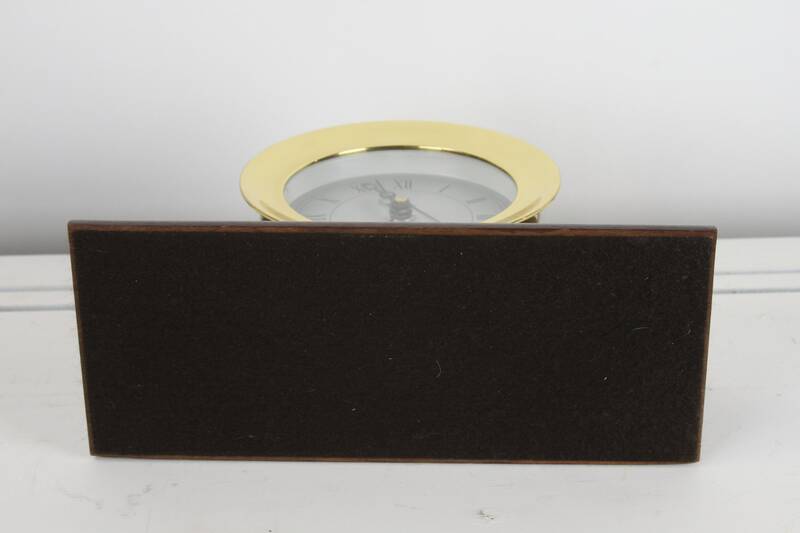 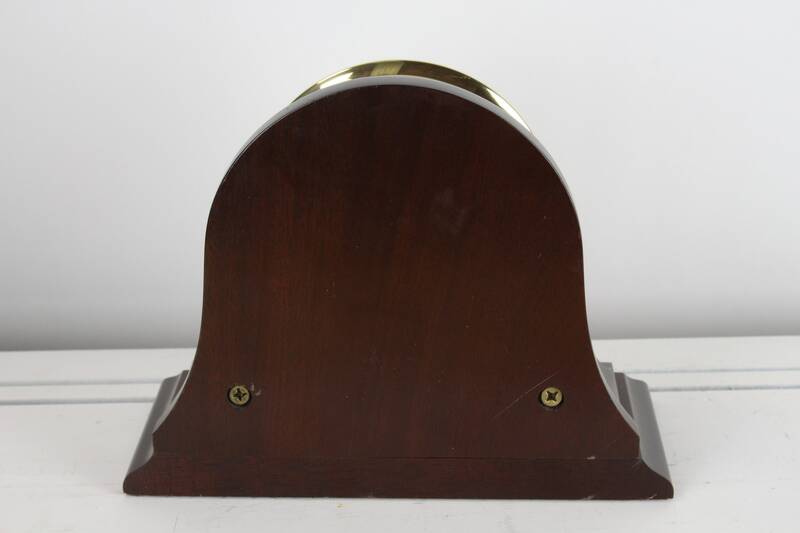 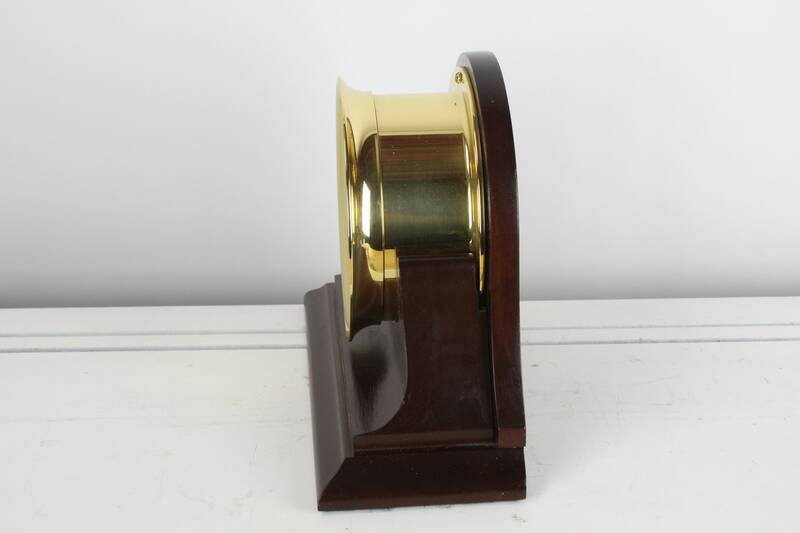 - Clock: 5.5" x 2.75"